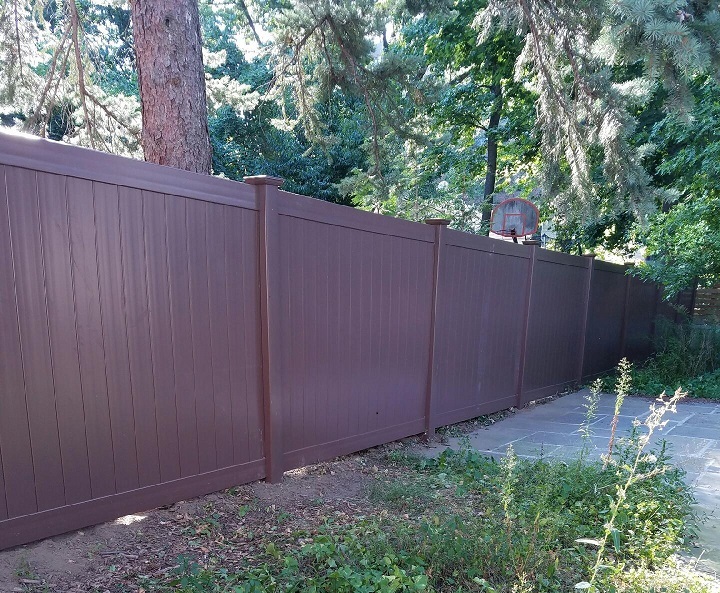 Here is a recent Yorktown Heights customer where we installed a privacy fence that is a beautiful brown vinyl maintenance free fence. When you want to hire the #1 fence company in Yorktown Heights please give King Fence a call. Our fence contractors and fence experts can help you select the best fence for your property and install it fast. At King Fence we make sure that every customer is treated like family. We have been taking care of the fencing needs of Yorktown property owners since 1962. When you want a beautiful fence we can help you find one. We also invite you to come visit our Westchester fence showroom where you can come see the different style fences and colors that you have available to choose from. If you want a vinyl fence our fence company can help you find the best one for your property. King Fence is the top Yorktown Heights fence company and we can help you find and install the best fence for your property! Call us now to learn more about our company, or fence contractors, and why we are the best fence company in Yorktown Heights to work with when thinking about investing in a new fence for your property.